Fahlgren Mortine worked with Travel Nevada on an advertising campaign specifically targeting millennials. They faced the challenge that many people think they already know Nevada – cue mental images of Las Vegas. 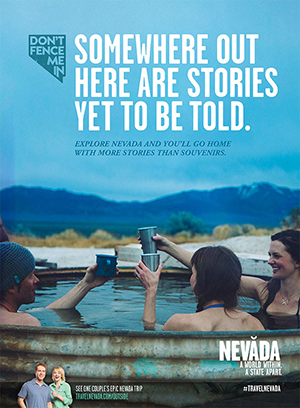 Travel Nevada wanted to reach younger consumers with different concepts of Nevada. Fahlgren developed a platform and began testing it, showing millennials mockups of a video ad. The Falhgren team noticed that the audience reacted to the “Don’t Fence Me In” background song and saw an opportunity to tap in to the millennial tendency toward independence and individuality. They reworked the campaign and brought that to the forefront. View a Fahlgren Mortine case study to learn more about the campaign’s success.